Please note: April 17, 2019 is a WEDNESDAY. Thomas Edward Lehman is an American professional golfer. 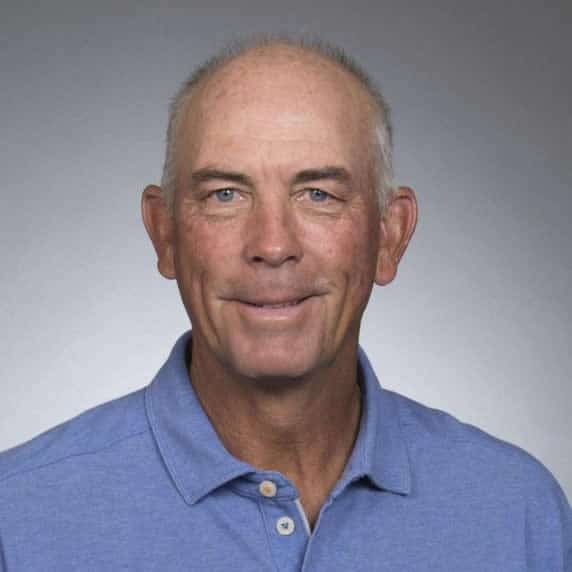 His tournament wins include one major title, the 1996 Open Championship; and he is the only golfer in history to have been awarded the Player of the Year honor on all three PGA Tours: the regular PGA Tour, the Web.com Tour and the PGA Tour Champions. It took Lehman many years to become a leading tour professional. He played on the PGA Tour with little success from 1983 to 1985, and was then obliged to play elsewhere for the following six seasons. This included time in Asia and South Africa and on the second tier Ben Hogan Tour in the United States. He regained his PGA Tour card by topping the Ben Hogan Tour’s 1991 money list, and enjoyed unbroken membership of the PGA Tour from 1992 until shortly after he joined the Champions Tour. He was named PGA Tour Player of the Year in 1996. In April 2009, Lehman became the 13th Champions Tour player to win his debut tournament. He teamed with Bernhard Langer to win the Liberty Mutual Legends of Golf in a playoff over Jeff Sluman and Craig Stadler. On May 30, 2010, Lehman won the Senior PGA Championship in a playoff over Fred Couples and David Frost for his first Champions Tour major championship. In 2011, Lehman topped the Champions Tour money list and was voted the Champions Tour Player of the Year. He is the first golfer to win “Player of the Year” honors on all three tours operated by the PGA Tour. In June 2012, Lehman defended his title at the Regions Tradition, to win his third senior major championship. He won by two strokes from Germany’s Bernhard Langer and Taiwan’s Lu Chien-soon. In his next major appearance at the Senior Players Championship, he finished runner-up, two strokes behind Joe Daley.